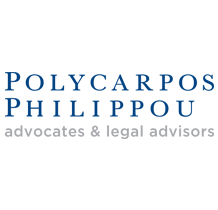 We are an independent family-owned law firm in Cyprus offering trusted advice and representation of a world class standard. We have been acting for foreign investors, individuals and families from our offices in Paphos and Nicosia since 1980 and over time our clientele has extended to include some of the biggest companies in Cyprus and local authorities. We focus on 4 practice areas: Immigration & Real Estate, Trusts & Corporate, Litigation, and Probate & Estate Planning. By being independent from developers, financial institutions and other organisations we protect our clients and our associates in their dealings and investments in Cyprus like no other law firm does. We do not take commissions from any company whatsoever and this allows us to help the clients make the proper choices and protect their personal and financial interests, including when making or receiving payments. Our single aim is to protect and secure our clients and associates. This is why have been creating and sustaining relationships with them and their families that extend through decades.